Signs point to us eventually living in a world in which nearly everything around us is “smart.” Our clothes will send messages to our smartphones letting us know when they need washed, and our milk will order its own replacement as its expiration date nears. But before the Internet of Things can fully take hold, we need to figure out a cheap and versatile way to give all these objects the ability to communicate — and the world’s first battery-free Bluetooth chip just might do the trick. On Monday, Israel-based semiconductor company Wiliot demonstrated a first-of-its-kind Bluetooth chip at the National Retail Federation’s (NRF) annual retail expo. 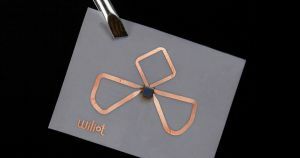 Wiliot is confident that its battery-free Bluetooth chips will help us realize the promise of a fully connected world.